Funky Polkadot Giraffe: 2014 Virtual Halloween Costume Linky Party! 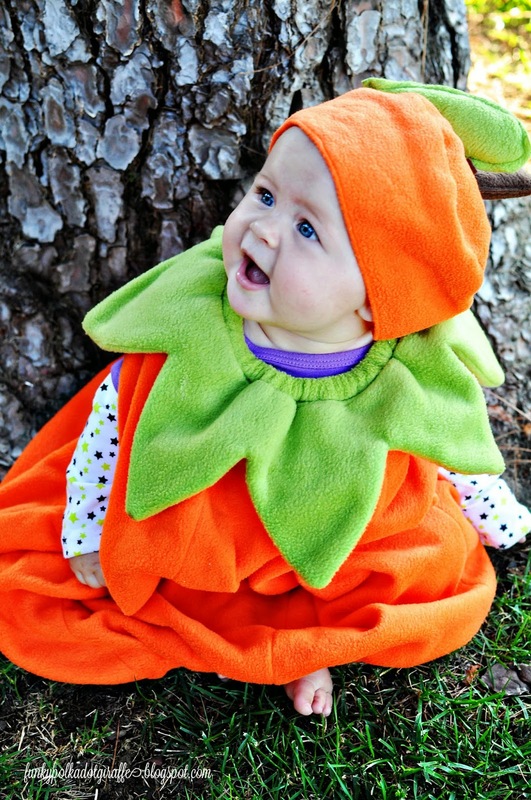 2014 Virtual Halloween Costume Linky Party! It's time again for the Funky PolkaDot Giraffe Virtual Costume Party! and get some credit for the work we put into it. even getting them into the costumes and look at the camera is HARD WORK! So I'll get this party started. 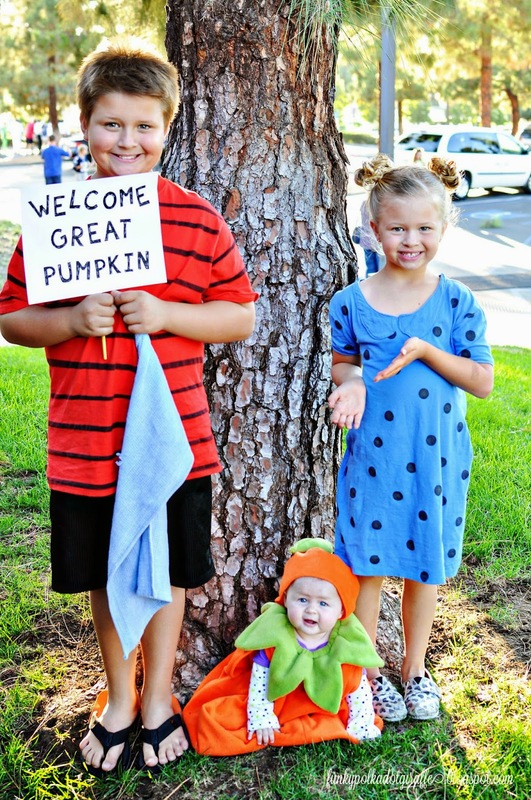 Here's my Peanut's Gang and the Great Pumpkin. 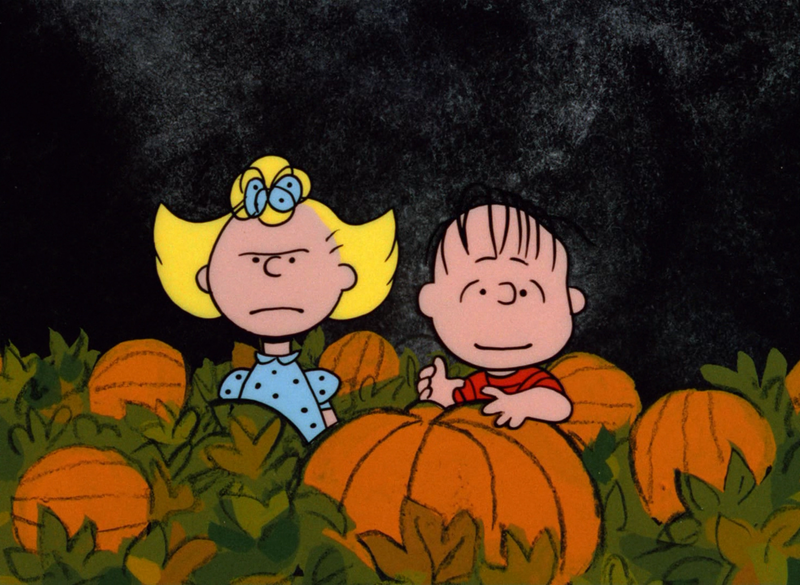 make the kids sweat to death during Campy Spooky at the beginning of October. 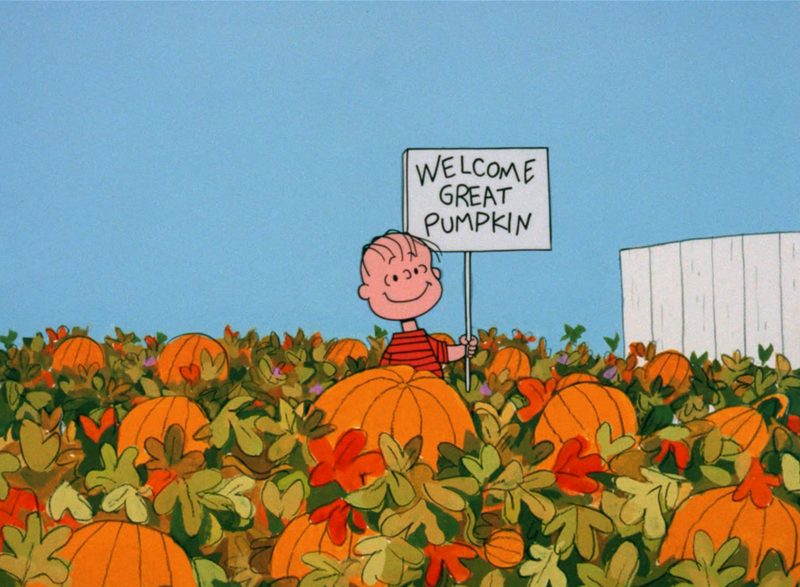 I have to say that the Great Pumpkin is pretty dang cute! so hers was the easiest costume of the bunch. JT's costume was the next easiest to make. 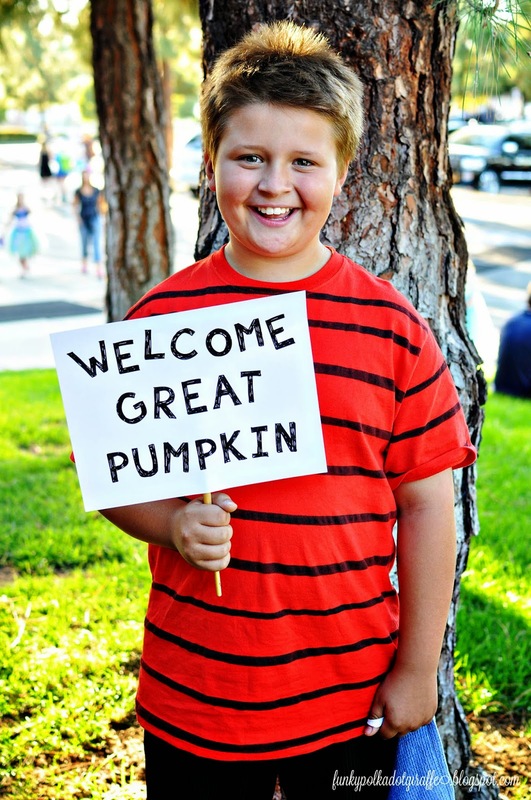 I also followed Linus' lead and made a sign to welcome The Great Pumpkin. to turn it from a plain red t-shirt into Linus' trademark lined shirt. blue dish towel from the kitchen and we were good to go! 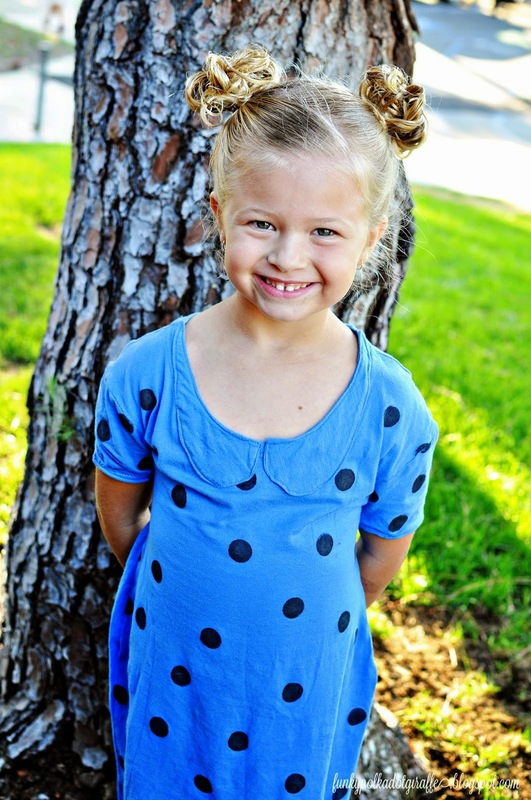 Sally wears a blue polka dot dress. it into a cute little dress. and a few tucks and times through the sewing machine. I even made a faux collar to make it fancy. and leave them some love.